Image: Jean Catuffe/GC Images/Getty Images. The Super Bowl may not return until February 2019, but that certainly isn't stopping fans from campaigning for their favorite artists to be considered for the infamous halftime show. 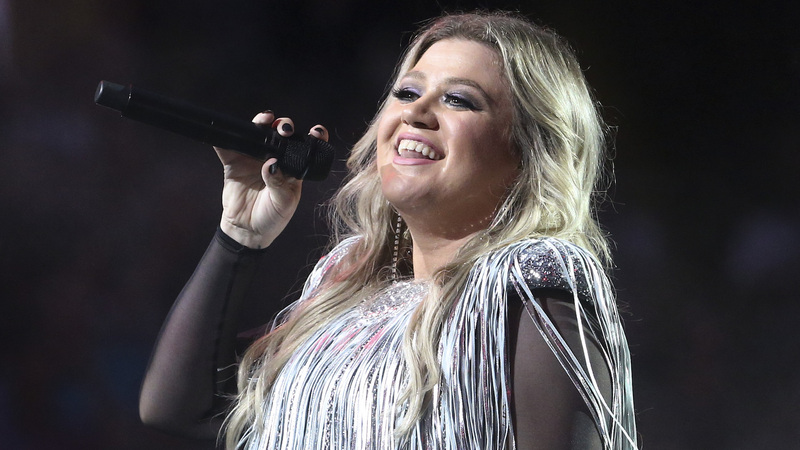 Following her opening performance at the 2018 U.S. Open on Monday, Kelly Clarkson fans got particularly vocal on social media about how badly they want their favorite singer to headline at the big game. During and after the performance, which was televised, several fans took to Twitter to show their support for Clarkson and to campaign that she headline the 2019 Super Bowl Halftime Show. One user wrote, "I feel like [Kelly Clarkson] just submitted her audition for the Super Bowl." Another added, "[Kelly Clarkson] is a national treasure… my GOSH we don't deserve her!" Some fans couldn't believe Clarkson hadn't been asked to headline the halftime show yet. One wrote, "Why haven’t we had a Kelly Clarkson Super Bowl halftime show yet[?]" Our favorite tweet may be the person who wrote, "Omg @kelly_clarkson performing at the #USOpen50 opening ceremony. The most fitting anthem queen for the 50 yr anniversary. Also this opening is 10000x better than the Super Bowl halftime show – @nfl take note!!!! BOOK THIS QUEEN!!!!" It certainly wouldn't be a stretch for Clarkson, who got her start on the very first season of American Idol; she's definitely used to massive crowds and big, blowout performances. Us notes that she opened Super Bowl XLVI in 2012 when she performed the national anthem backed by a children's choir and a drum line, so it only makes sense she should check off another key Super Bowl box by doing a halftime show. So, what exactly would she bring to the halftime show? She certainly has plenty of hits to bust out on the field stage, including "Since U Been Gone," "Stronger (What Doesn't Kill You)" and "Miss Independent," some of which she performed on Monday night. Who knows if these huge dreams Clarkson's fans are trying to manifest will actually come true? Between the award show hosting gig, voicing a role in an animated movie and planning her daytime talk show debut, Clarkson's got a lot on her plate right now. But that doesn't mean we can't wish for this halftime dream to come true.